I got a little disheartened by the way things had been going with The Pretty Things and SF SORROW because there was a lack of record company momentum behind the band. There seemed to be a lack of momentum from their management. So things were slowly going nowhere. And I started hanging out with Steve Took, who was then playing percussion and vocals with Marc Bolan in a band called Tyrannosaurus Rex, which was like a psychedelic folk duo. Then we got friendly with Mick Farren, who was the lead singer of The Deviants, and the three of us were kind of thrown together. We had this sort of mobile drinking club which included all the members of the other bands we were with. We called ourselves The Pink Fairies Motorcycle Club and All-Star Rock and Roll Band, just for fun. It was really a drinking band, and our objective was just to go out and cause as much trouble as we could wherever we went. Looking back, that wasn't such a good idea. But it was a lot of fun at the time. So things were winding down with The Pretty Things, and I was getting more and more interested in the sounds coming out of San Francisco and Los Angeles. And Paul Rudolph from The Deviants had the guitar sound that I liked. 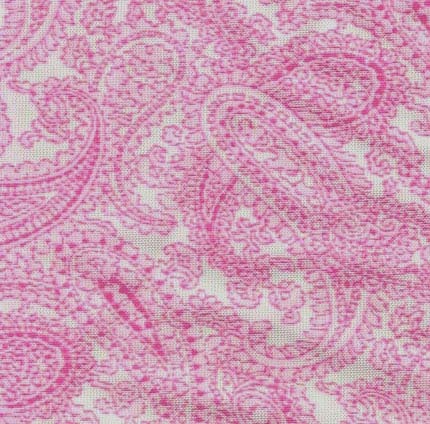 So we started working on my first solo album for Sire Records called THINK PINK. That came out in the States first, then later in the U.K. It sounded so good that I decided to hand my notice in with The Pretty Things. With all the anarchic activities that myself, Steve Took, and Mick Farren had been kicking up, they weren't too displeased with the decision. It was mutual. I was unhappy with the situation and they could see that. 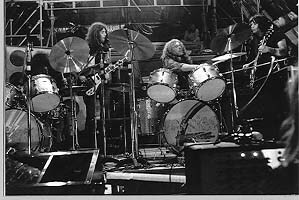 So I decided to leave The Pretty Things and start The Pink Fairies in late 1969. So myself, Steve, and Mick were booked as The Pink Fairies, a three-piece for a university show in Manchester, and it was a total disaster. We had no rehearsal, no songs, no instruments. We just had girl roadies. We went up there and got drunk and did an outrageous performance of nothing. So the next day I decided it wasn't going to work in that combination. Mick Farren was no longer with The Deviants, Steve had already left Tyrannosaurus Rex on their first American tour, and I had left The Pretty Things. So, in essence, we were the new Pink Fairies working on Mick Farren's first solo album, MONA, THE CARNIVOROUS CIRCUS. But it wasn't going to work. So I contacted The Deviants' manager and said let's get the guys back from the U.S. because they were stuck in San Francisco with no money, they didn't know how to get back and didn't know what to do. So I told him, "They're the guys I want to be with." And so that's what we did. We got everyone back and that was it. A month later we were on the road "kicking out the jams." 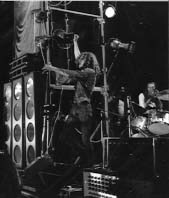 Pink Fairies photos by Ron Reid. 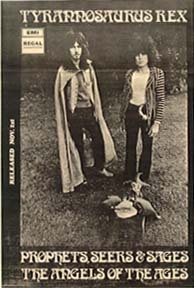 Photo of Steve Took and Marc Bolan from IT (Nov. 1968).